Updating the flooring in your home can go a long way toward making it look like a new house. With the normal wear and tear of family life, flooring can take a beating, which is why it is one of the most updated and replaced areas of the home. When it comes to choosing a material, most people end up opting for a hard, easy-to-clean surface like laminate or hardwood. For many years, laminate was considered to be a cheaper, less durable alternative to hardwood. Times have changed, and while laminates may not last as long as solid hardwoods, they are more durable and attractive than ever, making a choice between the two materials difficult. We will outline the differences between them below so that you can decide which is the better fit for your home. Hardwood floors are made from many different species of wood, some domestic and some exotic. Solid hardwood is made of a single plank of wood with the grain running straight through, while engineered hardwood is made of a wood veneer 1 on top of many layers of plywood 2. Both come in a wide range of colors and wood grain patterns, as well as plank widths and finishes. Hardwood floors can be finished to a high sheen or distressed in a variety of ways to give them different looks. 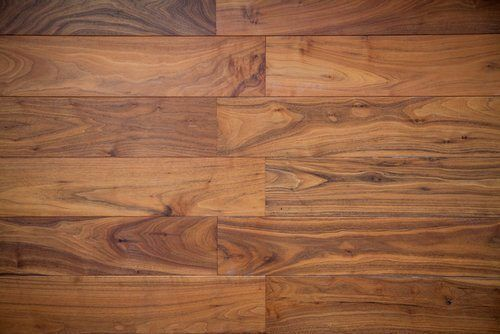 Some types of hardwood, like cherry, may be affected by sunlight and humidity, which can cause the colors to change over time. Laminates are made of several layers of wood byproduct, including melamine resin 3 and fiber board, that have been fused or laminated together. 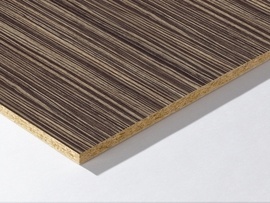 The finished material has a printed layer on top beneath a clear, protective layer to help simulate the look of wood. It can also be found in many different colors and finishes, including some that can imitate the look of hand-scraped wood. Hardwood flooring installation is largely dependent on what type of hardwood you choose. Solid hardwood requires each plank to be nailed or glued to the substrate, which requires professional installation. Engineered hardwood may need to be nailed or glued, but can often be floated or locked together above the subfloor 4, which can make installation easier. Solid hardwood flooring can only be installed at or above grade, while engineered hardwood can be installed below grade in basements. Laminate flooring is almost always installed in a floating application with the planks fitting together in a tongue and groove style, which makes a faster, easier installation than hardwood. This installation process is simple and can be installed professionally or DIY. Laminates should only be installed at or above grade, never in basements. Hardwood floors range in cost depending on whether they are solid or engineered, finished or unfinished, and what species the wood is. 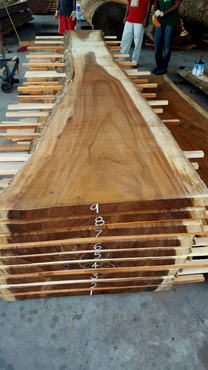 Exotic hardwoods 5 may be as high as $25 a square foot, while more common types of wood, such as oak and maple, run around $4 to $14 for pre-finished material. Most wood floors cost between $12 to $20 a square foot installed. A 200 sq. ft. installation would run between $2,400 and $4,000. Laminates cost between $1 and $5 a square foot, depending on the quality of the laminate and its finish. 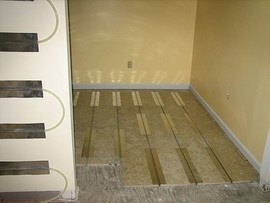 They cost around $2 a square foot to install, making the total cost for a laminate floor about $2 to $8 a foot installed. A 200 sq. ft. installation will run between $600 and $1,600. Both laminates and hardwoods are relatively easy to maintain and keep clean. Both should be swept frequently or vacuumed without the use of a beater bar. Laminates may be slightly simpler to clean, as they can be damp mopped to remove most surface debris. Laminates do scratch and dent easier than hardwood, however. Real wood floors can be sanded and refinished if necessary, while laminates cannot be refinished if scratched or damaged. In this case, removing and replacing the damaged boards is the only way to repair the floor. 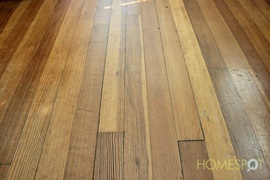 Both laminates and solid hardwoods may be susceptible to moisture and high humidity. For this reason, these types of floors should always be installed above or at grade with an expansion joint 6 around the perimeter to prevent warping. Moisture from spills may cause laminates to swell or warp if the moisture gets into the joints 6. Mold is not normally a problem with either floor type but could become an issue if the boards are left to absorb enough water. 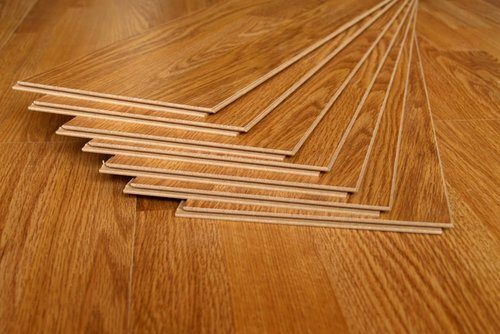 Engineered hardwoods are much less susceptible to moisture and can, therefore, be installed below grade without issue. A solid hardwood floor can last up to 100 years when treated properly, while engineered hardwoods can last at least 50. Laminates last only around 30 years for top-quality products and less than 20 years for more inexpensive brands. Laminates dent easily when exposed to heavy impacts. Some softwood floors like pine may also dent, but most hardwood floors are strong enough to withstand these impacts. Both types of flooring can be used with radiant heat. In the case of hardwood, either engineered hardwood or thinner planks may be necessary to keep the wood from drying out and expanding and contracting too much. Technically, neither type of flooring adds any value to your home. However, more than 99% of Realtors say that hardwood flooring makes a home easier to sell or helps the home to sell more quickly. In addition, homes that have hardwood floors under the carpet command a higher price when the carpets are removed than with the carpeting left intact. How much does it cost to install laminate or hardwood flooring in my city? Cost to install laminate or hardwood flooring varies greatly by region (and even by zip code). To get free estimates from local contractors, please indicate yours.